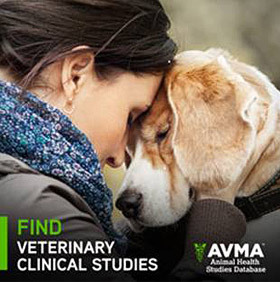 The AVMA Animal Health Studies Database is the first, and only, database that includes listings of veterinary clinical studies being conducted in all species of animals and most disciplines of veterinary medicine. NorthEast Pyr Rescue (NEPR) is a non-profit corporation and an all-volunteer organization dedicated to providing compassionate, coordinated and comprehensive rescue services for Great Pyrenees dogs in our region, the North East portion of the United States. Although many members have been providing rescue care to Great Pyrenees for more than three decades, NEPR was formally established in 2003. Our geographic area includes: New York, New Jersey, Massachusetts, Vermont, Connecticut, New Hampshire, Rhode Island, and Maine. Currently, there are no news articles. Please check back later.